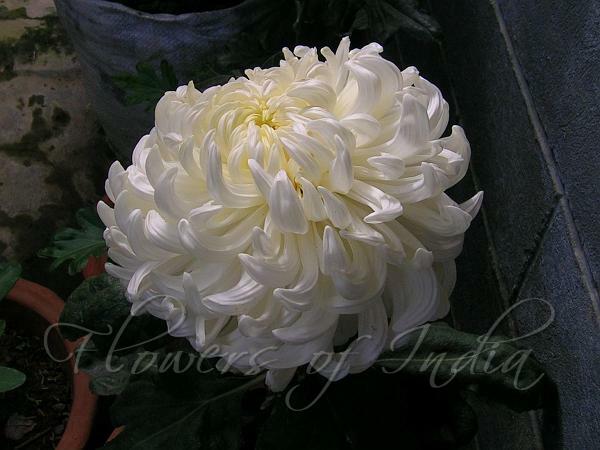 The beauty of white chrysanthemum doesn't need any introduction. The chrysanthemum, also known as the mum, is a flowering perennial plant of the genus Chrysanthemum in the Sunflower family (Asteraceae) The genus has been split into several genera, such as Dendranthema, Leucanthemum and Tanacetum. 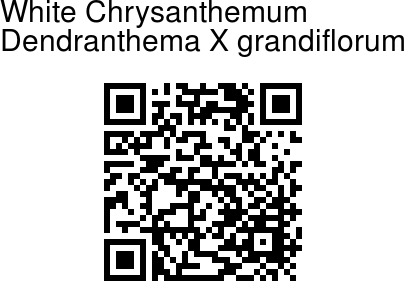 But there is a growing consensus to merge back Dendranthema into Chrysanthemum. Chrysanthemums were cultivated in China as a flowering herb as far back as the 15th century BCE. An ancient Chinese city was named Chu-Hsien, meaning "chrysanthemum city". The flower was introduced into Japan probably in the 8th century CE, and the Emperor adopted the flower as his official seal. There is a "Festival of Happiness" in Japan that celebrates the flower. Mythology: Some countries (such as Malta) think it is unlucky to have the flower indoors. It is associated with funerals and All Saints Day. Medicinal: Feng Shui adherents believe the chrysanthemum brings laughter and happiness to your home.